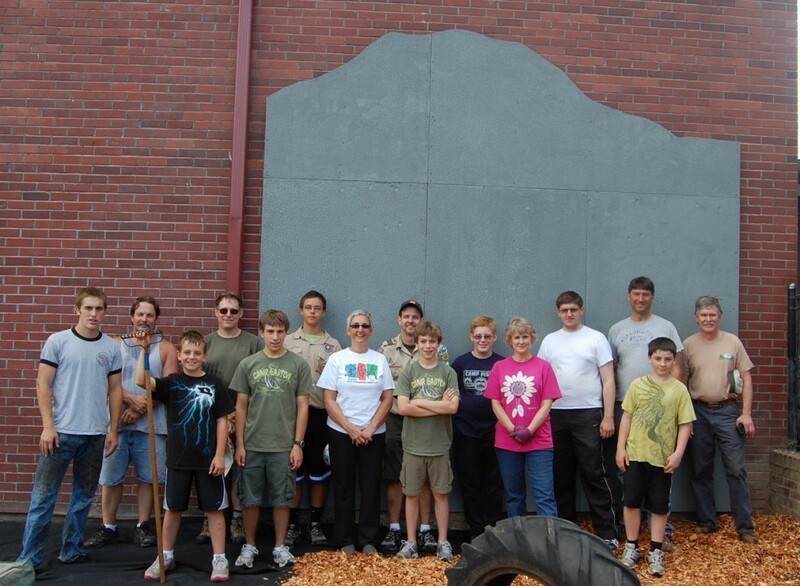 On Saturday July 21, 2012, 19 Scouters helped Matthew work on his Eagle project. His project was to build a climbing wall at Gloria Dei Lutheran Church’s Preschool Playground. The climbing wall also served a purpose of covering up a no longer used door and window. The group also pressure washed the playset, and refluffed the old bark and installed new bark in the area. Be sure to check out the troop photo gallery for more pictures.